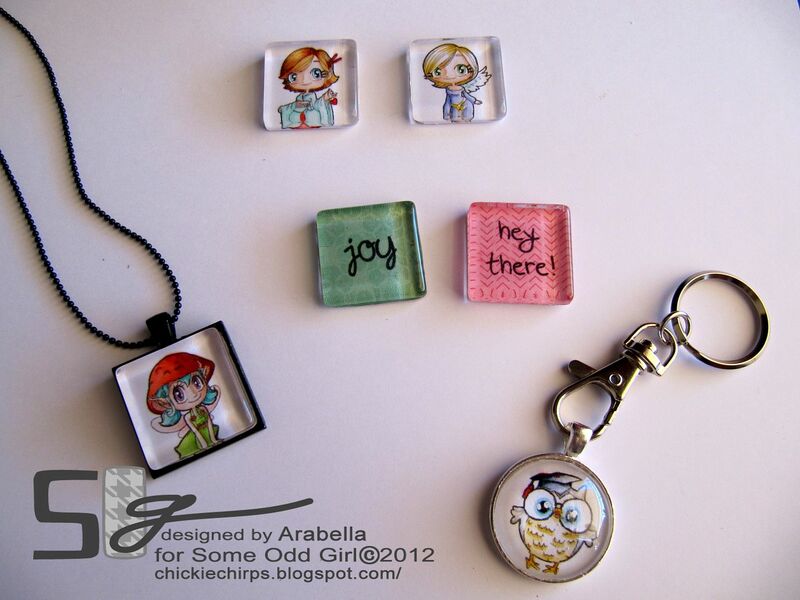 Glass tile magnets, a pendant and a Prof Hoot keyring that I thought would be perfect for a wee graduation gift, especially if you made a matching card to go with it! 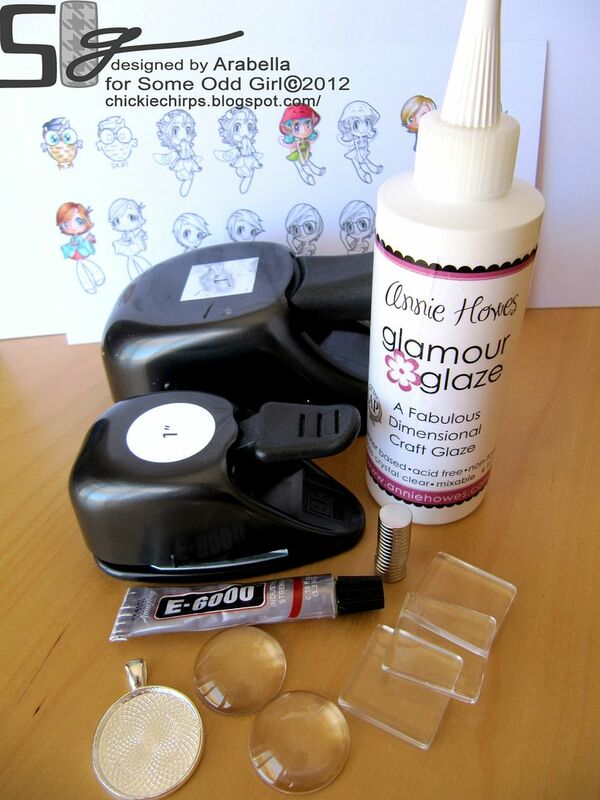 I got my supplies from Annie Howes on Etsy. 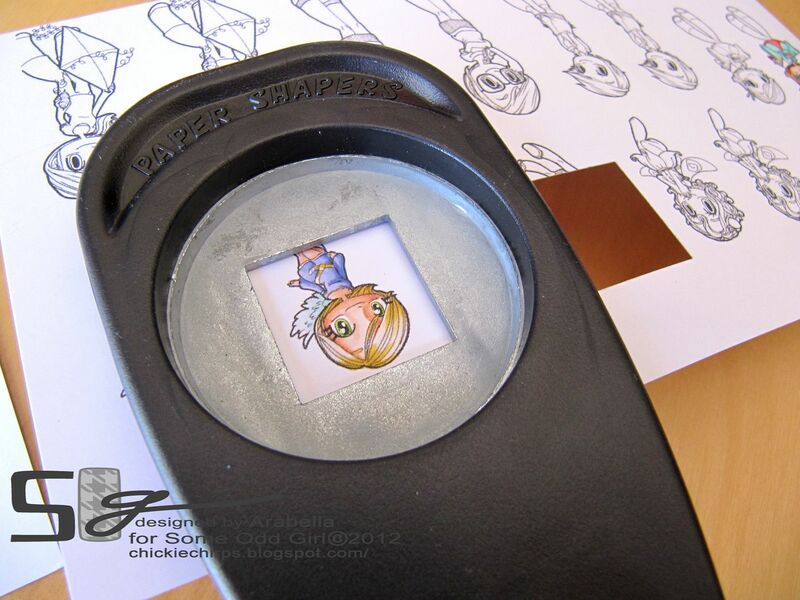 To start with, I resized my Some Odd Girl digital stamps down to very small in Word before printing them out. In retrospect I think next time I would leave just a little bit more space between them for the circular punch. I coloured my images in with copics. Since they were so small they didnt take very long to colour. One tip for colouring small images with copics is that it may be easier to skip the middle colour in your blending trio and just use the lightest and darkest to blend with as it is a such a small area you are colouring and you don’t want to over-saturate the area. For the square tiles, you can round the corners of the images with detail scissors now before you start the gluing stage. 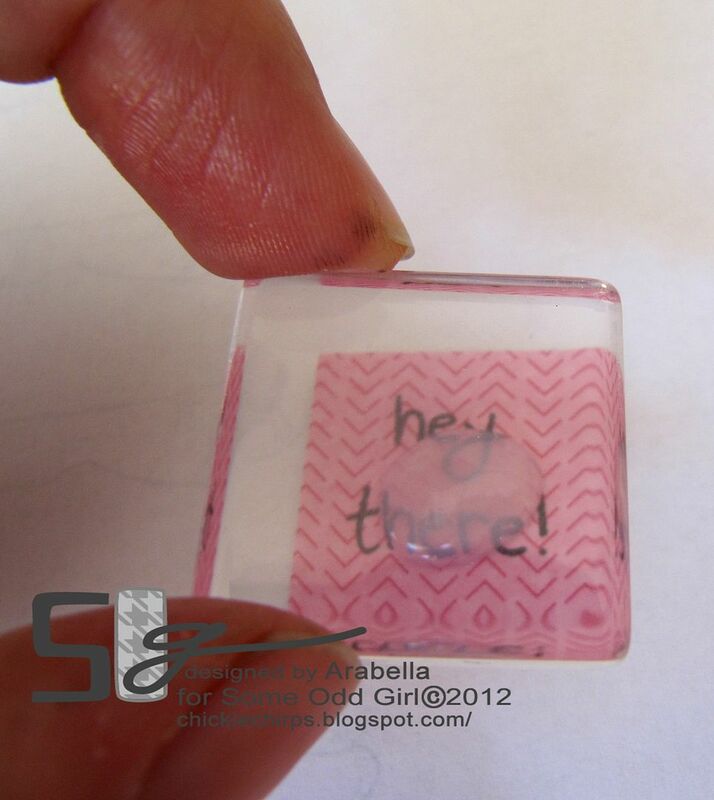 As well as images, I stamped some SOG sentiments onto colourful scraps of DP to use as magnets. The next step is to clean the tiles before adding a blob of Glamour Glaze to the top of the image or sentiment and placing tile on top. I found the easiest way to do this was to put the blob of glue in the centre and then lay the tile on top and smoosh the glue to the edges. Let the tiles dry for a few hours (preferably on a non-stick baking sheet). Then turn them over and coat the back surface with the Glamour Glaze as well before leaving them to dry overnight. 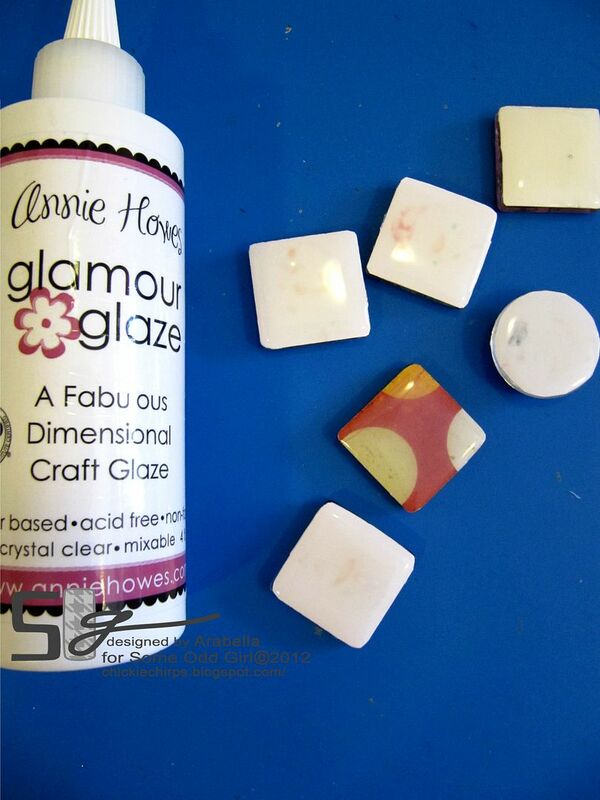 Once the glaze is dry, you can decide what you want to do with the tiles. 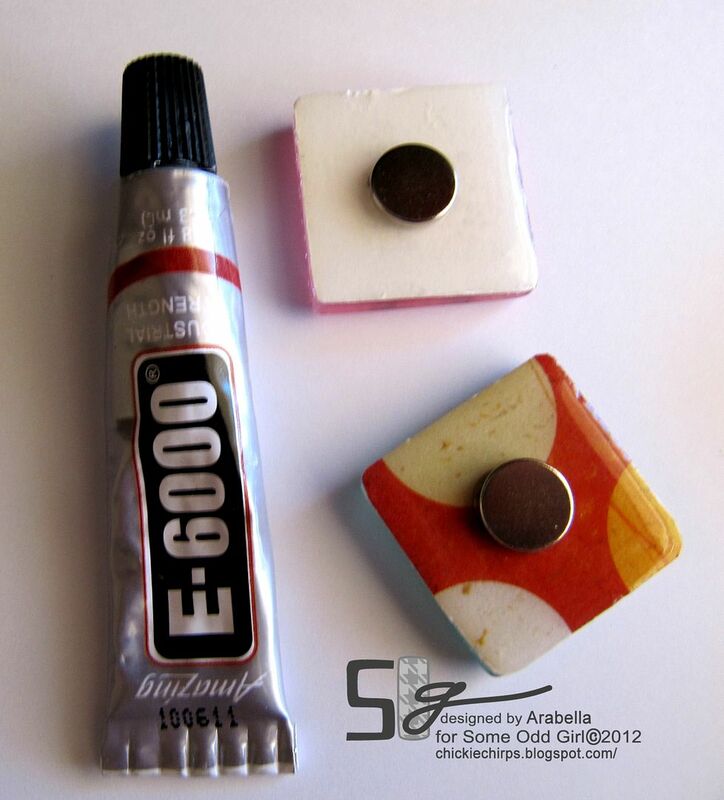 Use the super strong glue to add magnets to the back or glue the tiles into pendant casings. I suggest purchasing the very strong Neodymium magnets if you are going to make magnetic tiles as there is nothing more annoying than fridge magnets that won’t hold anything up! Something else I discovered while making these is that the Copic Opaque white on Prof Hoot’s eyes smudged when I added the glue, but the pen I used on the girl’s eyes did not. I’m not sure if that was because I didn’t let give the Copic Opaque white time to dry properly first or if it just does that. I would recommend you experiment with that. I also noticed that some of the reds smudged a bit… I suspect that is because the ink was over-saturated in those areas. Mushroom Fairy, Giggle Fairy, Kimono Kaylee, Kite Flyin Mae, Shy Kaylee and Angel Kaylee. I hope you enjoyed my wee tutorial! 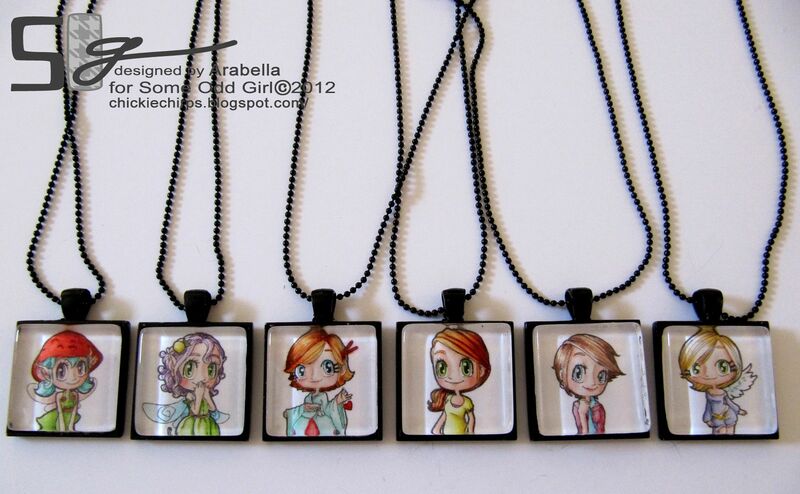 WOW Arabella these are AMAZING…love.. Awesome!!! 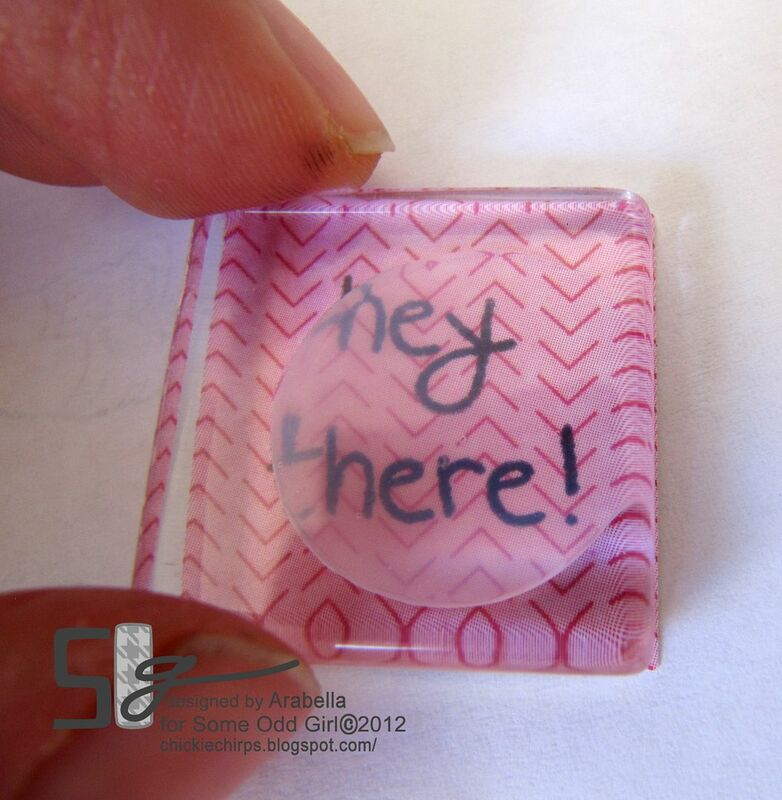 That looks easier than the Shrinky Dink paper I tried to work with last weekend! 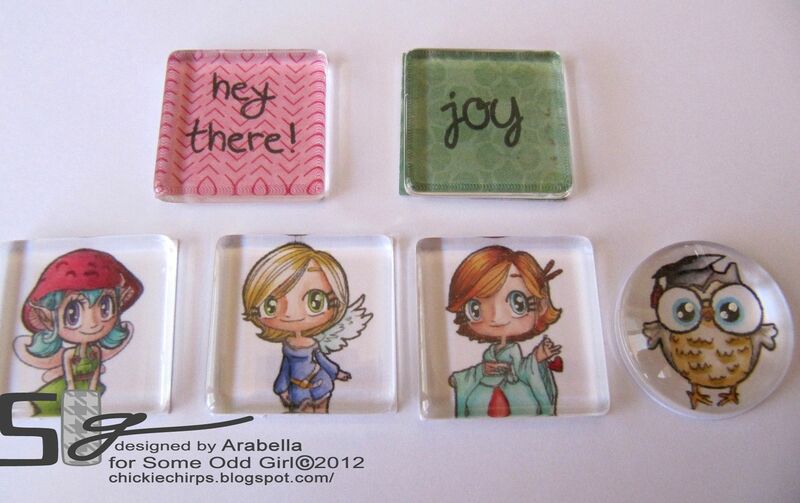 Oh Arabella these are simply adorable!!! I love each and everyone! Gorgeous! Absolutely fabulous work. Love the idea! Bet you couldn’t make these fast enough, there’s such a big market for this sort of thing. Great tutorial! You did an awesome job for your “first”! Looking forward to your next one! Great graduation gift idea…..love the key chain! These would make great gifts for birthday or chrimbo!! Cute idea! Great for grad gifts! Arabella I love these. I am going to try my hand at this!